Having exposed Sir Humphrey’s role in telling half-truths about unconventional gas in the Bath/ Mendip area we wrote to DECC asking them to confirm the other half of the truth – that Coalbed Methane (CBM) is the primary mineral in the area, that CBM isn’t covered by the Infrastructure Act (including it restrictions of drilling depths, other safeguards and restrictions on drilling in protected areas such as the Mendip AONB), that is it done at shallow depth, etc, etc, etc. Sir Humphrey replied and confirmed these other essential pieces of information or carefully obfuscated to avoid excruciating embarrassment. We also asked what the Government is doing to protect the climate given that climate change and sea level rise is such a massive issue in Somerset and considering that their very own Chief Scientific Advisor had reported to them that “The production of shale gas could increase global cumulative GHG emissions if the fossil fuels displaced by shale gas are used elsewhere” (NB DECC has no way to keep displaced Qatari gas in the ground). What the CCC has said about gas is that gas “cannot be regarded as a low-carbon fuel source”. So much for the ‘cleanest fossil fuel’ – let’s call it the least-dirty fossil fuel instead. But where have the 2013 CCC quotes come from? A report from the CCC to the Government? Err, well apparently not, they seem to have been cherry picked from a note to a CCC blog post. The first part of the quote does not refer to the UK as a whole but is specific to the “building and industry sectors” in a “virtually” decarbonised power sector supplied by renewables, new nuclear and gas with Carbon Capture and Storage – now effectively cancelled by Sir Humphrey’s own department. The second part of the CCC quotation seems to have been edited. The word ‘lifecycle‘ has been removed and the word ‘LNG‘ has been changed to ‘gas‘. The CCC quotation used by Sir Humphrey is about Liquified Natural Gas (LNG) (e.g. from Qatar) not about gas in general. 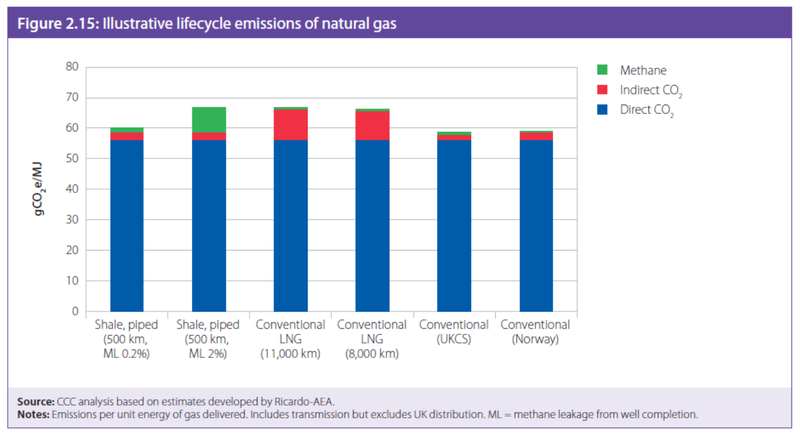 The self-same CCC note shows that conventional ‘gas’ from Norway has lower lifecycle emissions that UK shale (with green completions). LNG has marginally higher emissions than UK shale gas with green completions and about the same emissions as UK shale gas without green completions. The CCC note says “So, at the margin, meeting a given amount of UK gas demand via domestic shale gas production could lead to slightly lower emissions than importing LNG“. Hardly the basis for a national shale gas policy. The relative emissions from different gas sources is interesting but it doesn’t tell you about cumulative greenhouse gas emissions (what actually matters in terms of global warming) and whether a new fossil fuel source is increasing or decreasing those emissions. If a new fossil fuel displaces an old one but the old one is simply burned somewhere else, rather than leaving it in the ground, then the new source is part of the problem or at best is an ineffective solution. 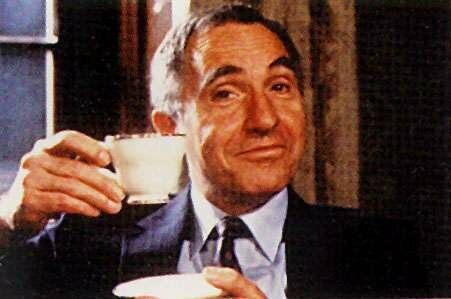 So there is no justification in Sir Humphrey substituting the word ‘LNG’ with ‘gas’. Nor is there justification for removing the word ‘lifecycle’ because CCC was talking about comparative lifecycle emissions. And of course there can be no excuse for editing the CCC’s note in the first place, presenting it out of context and passing it off as CCC’s words in order to justify the exploitation of shale gas as a ‘clean’ fossil fuel. then the licensing of large areas of Somerset that are vulnerable to sea level rise for unconventional gas or oil exploration is a grotesque nonsense. 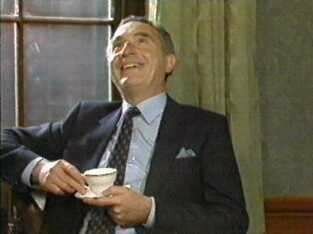 We have asked Sir Humphrey to explain his portrayal of gas as ‘clean’, for his cherry picking of CCC blog posts to justify unconventional gas exploitation and for editing and misrepresenting CCC quotations. We have also asked why these self same edited words have been used repeatedly by the DECC Correspondence Unit and by the Minister Andrea Leadsom in a debate in the House of Commons. Amazingly the Hansard transcribers managed to get the “…”s and the ” ” marks in the right place – how does the Minister do that? She must be doing that annoying quotations thing with her fingers as she speaks. 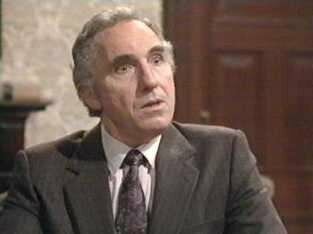 We are looking forward to Sir Humphrey’s reply. Hacker: Humphrey, do you see it as part of your job to help ministers make fools of themselves? Sir Humphrey: Well, I never met one that needed any help. Recent local press reports (Bath Chronicle, Chew Valley Gazette) have trumpeted the news that Ben Howlett MP (Bath) and James Heappey MP (Wells) have been assured by Andrea Leadsom, Minister of State for Energy and Climate Change, that North East Somerset and the Mendips are not in the ‘shale prospective area’ and that there is “no frackable shale gas to be found” with Mr Howlett adding that “I am delighted to find that Bath and the Mendips do not have frackable shale gas under the surface and is therefore safe from the risk of fracking”. 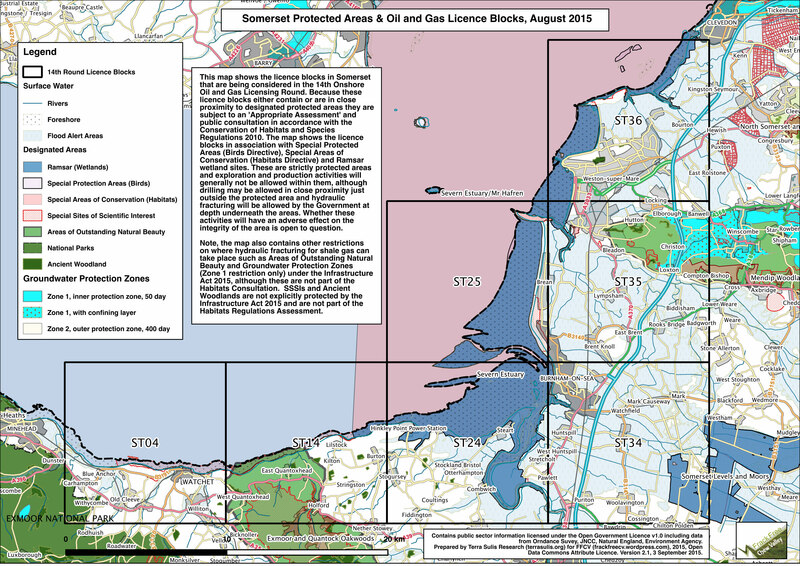 The latest maps of Andrea Leadsom’s own department (updated 21/12/2015) show that more than 1,000 square kilometres of the West Country have just been licensed for onshore oil and gas exploration including the Somerset-Wiltshire border, the Forest of Dean and the Somerset coast from Clevedon to Minehead – despite none of these licenses being in the shale prospective area. 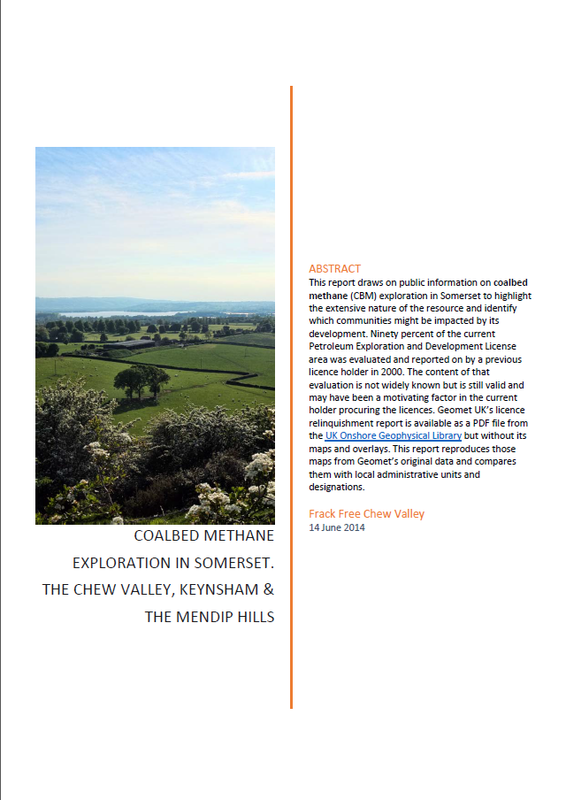 At the time of the 14th Onshore Licensing Round UK Methane were still sitting on the Mendip PEDL so it couldn’t be put forward for consideration. Despite what Andrea Leadsom has said there is nothing stopping the Bristol-Somerset coalfield being licensed yet again in the next licensing round for exploration of CBM. It is worth noting that the safeguards to shale gas fracking in the Infrastructure Act 2015 do not apply to CBM including surface drilling in protected areas such as AONBs and World Heritage Sites and fracking at depths as shallow as 200m. So this good news story rings rather hollow. 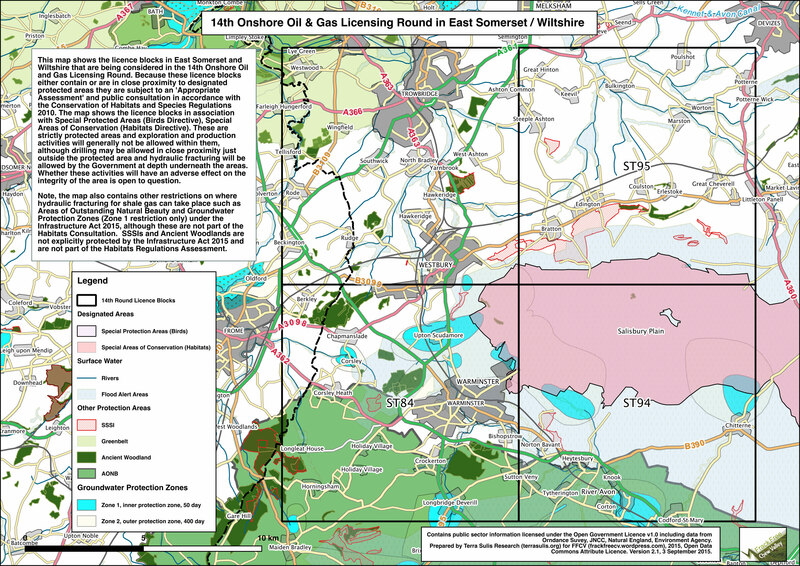 Nothing has changed except a larger area of Somerset is now licensed for oil and gas exploration than ever before.